James Fadden, Jr., along with his father, James, Sr. and his son James, were all honored Thursday, February 19, with separate proclamations from the NH Senate and the NH House in recognition of their unprecedented 7th win of the Lawrence A. Carlisle Memorial Trophy awarded by the NH Maple Producers Association. Senator Jeff Woodburn announced the proclamation on the Senate floor. Former NHMPA President Peter Thomson made a ceremonial presentation of the coveted Carlisle cup to the Faddens before the entire Senate with several Board members from the NH Maple Producers present in the gallery. 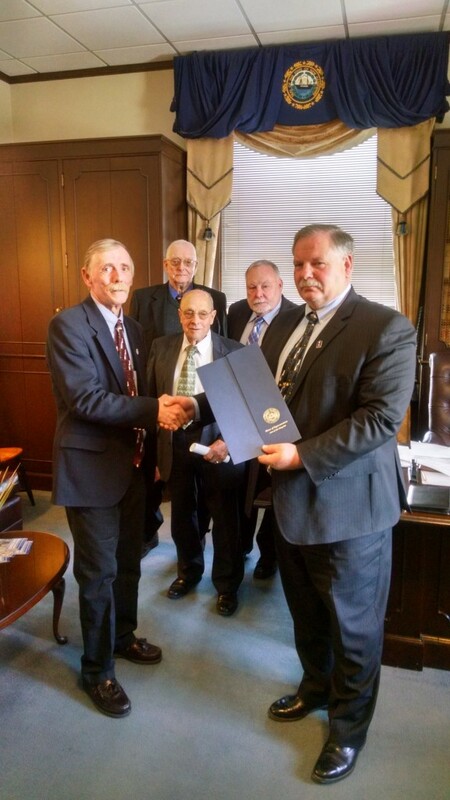 A second proclamation was issued to the Faddens by Speaker Jasper in his office with former Speaker Gene Chandler, other state representatives and the NHMPA entourage also present. 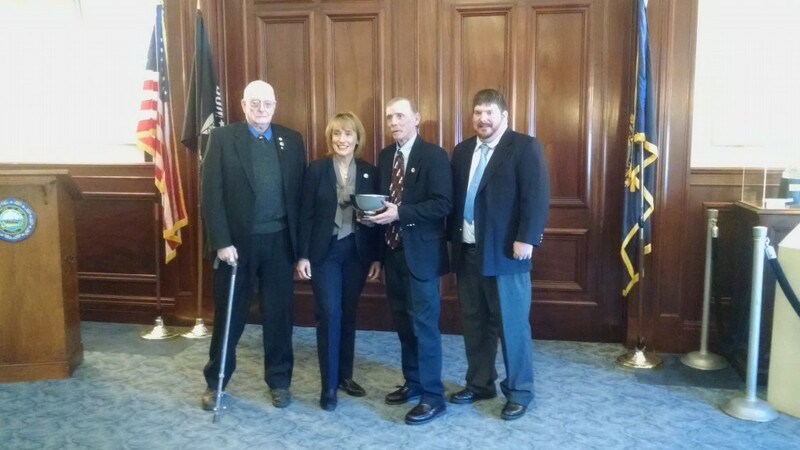 Governor Hassan also gave her congratulations to the Faddens in a private Press Releases and News Speaker Chandler & Jim Fadden gathering in the Executive Council chambers. James Fadden, Jr. of Fadden’s Sugar House in North Woodstock, NH was awarded the 2015 Carlisle Award by the New Hampshire Maple Producers Association on January 24, 2015 at the NHMPA annual meeting. The Fadden family has won the award 7 times for the finest quality maple syrup produced in the NH beating out 9 other entrants chosen for the final matchup. More information on the contest is available at www.nhmapleproducers.com. The Lawrence A. Carlisle Memorial Trophy is awarded annually by the New Hampshire Maple Producers Association for excellence in production of maple syrup. This award is made in recognition of the outstanding service and devotion of Lawrence A. Carlisle to the welfare and development of the Maple Industry of New Hampshire.